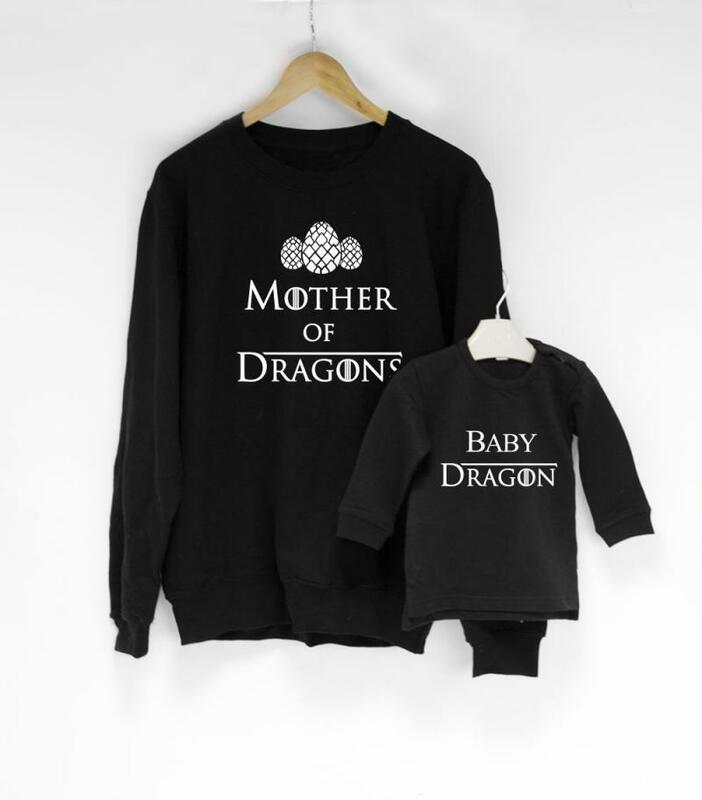 These set of Game of Thrones Sweatshirts featuring Mother of Dragons and Baby Dragon would make a lovely gift for Game of Thrones fan. Straight hem with side vents and drop tail. Soft rib at neck and cuffs. 2 poppers at side neck for ease of dressing. V-stitch detail at front neck. Tear off label.